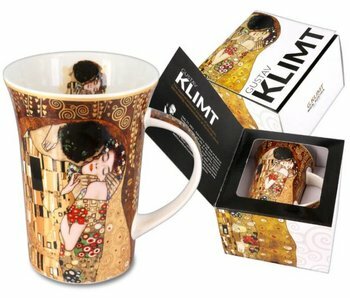 Square shaped glass bowl with an image of painter Gustav Klimt. Size 13 x 13 cm. Teapot Aladin - 2 made of hand-painted ceramics. The teapot has an Oriental design. Measurements: w 30 x h 24 x d 17 cm. 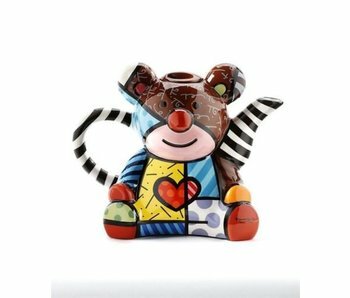 Teapot Aladin - 1 made of hand-painted ceramics. The teapot has an Oriental design. Measurements: w 30 x h 24 x d 16 cm. 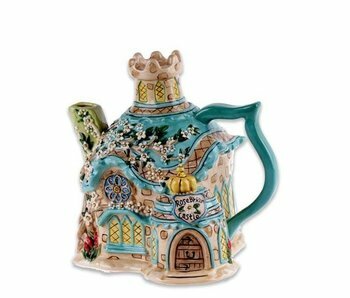 Teapot Rosebrian castle made of hand-painted ceramics. Height x width x depth:21 x 21 x 16 cm. 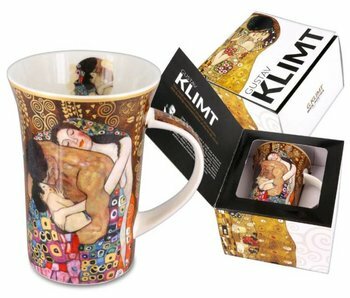 A surprisingly funny gift item. 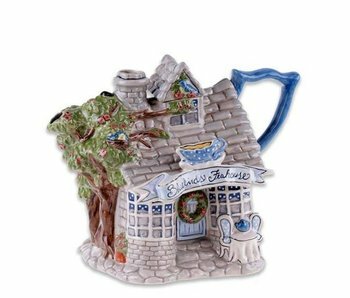 Teapot Bluebirds Teahouse made of hand-painted ceramics and shaped like a cottage. Height x width x depth: 18 x 25 x 15 cm. 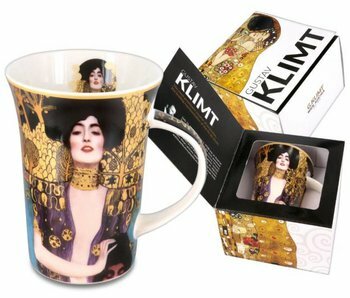 A surprisingly funny gift item. 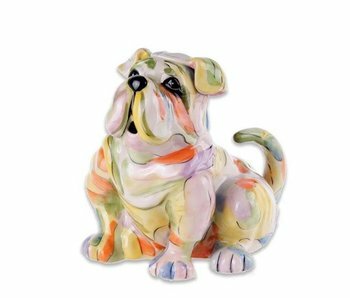 Funny teapot dog, bulldog made of ceramic. 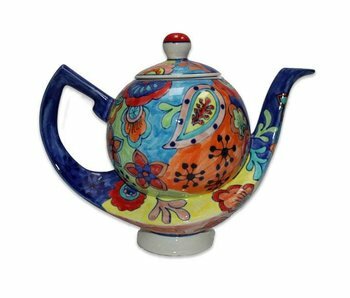 This is a handpainted teapot. Measurements: height 20 cm x width 21 cm x depth 16 cm. 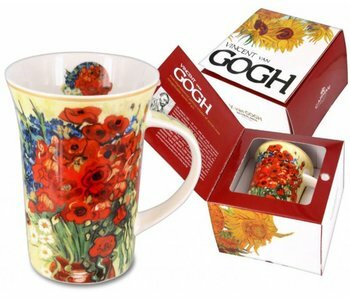 This is a nice gift item. 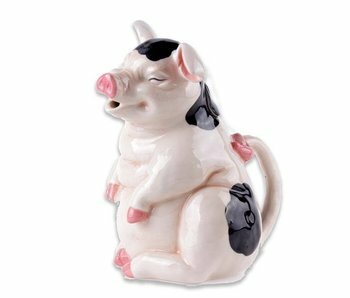 Funny teapot piglet made of ceramic. 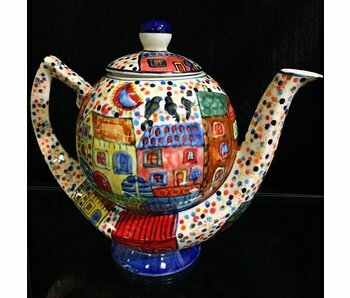 This is a handpainted teapot. Measurements: height 24 cm x width 20 cm x depth 15 cm. 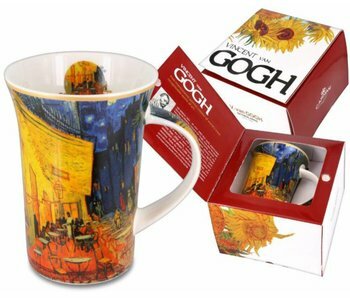 This is also a nice gift item. 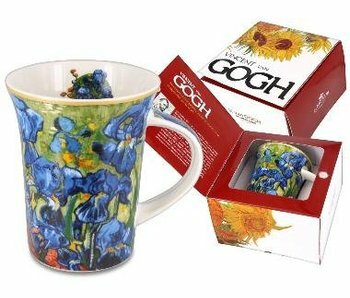 Porcelain mug with Irises by Vincent van Gogh. 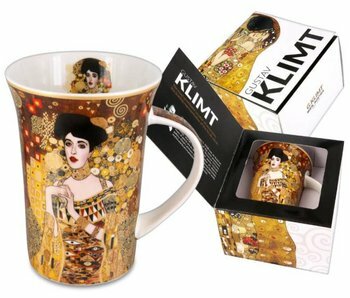 Packaged in decorative gift box. Great priced. gift. Height 11 cm. 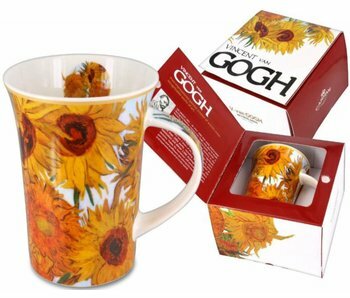 Porcelain mug with a motif of Sunflowers by Vincent van Gogh. 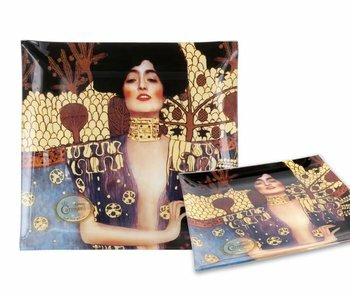 Packaged in decorative gift box. Insanely low priced. Height 11 cm. 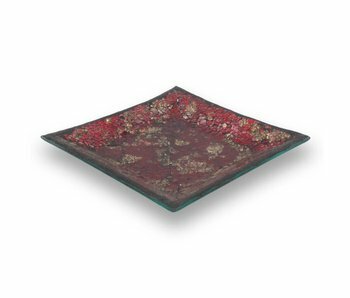 Dragons Lair is a handmade, decorative mosaic plate for fragrance lamps of Ashleigh & Burwood. Also suitable to protect your table. Size M, approx. 15 x 15 cm. Size approx. 18 x 18 cm. 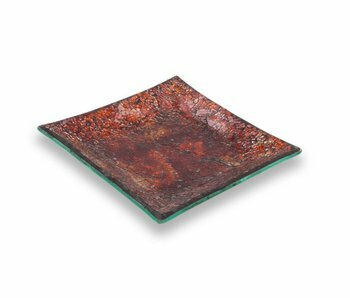 To combine with the Fragrance lamps: Sangria L, Dragons Eye S.
Eclipse is a handmade, decorative mosaic plate for fragrance lamps of Ashleigh & Burwood. Also suitable to protect your table. Size approx. 15 x 15 cm. 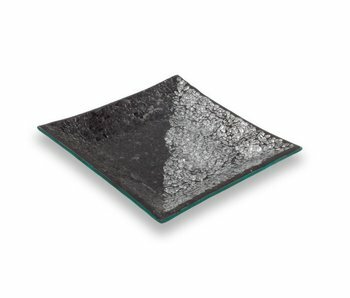 To combine with the Fragrance lamps: Little Devil S, Platinum Black S.
Desert Flame is a handmade, decorative mosaic plate for fragrance lamps of Ashleigh & Burwood. Also suitable to protect your table. To combine with the Fragrance lamps: Burnt Amber L, Amber Mirrh S, Autumn Flames S.